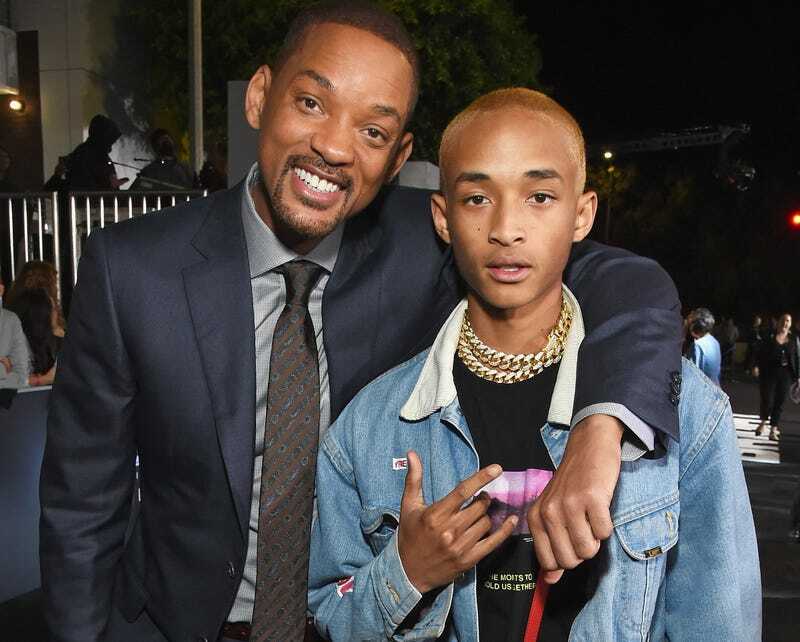 In true dad fashion, Will Smith has found a way to celebrate his son Jaden Smith’s achievements while simultaneously trolling him, and it is beautiful and hilarious to behold. Back in November, Jaden, an actor and rapper just like his dad, released the video for “Icon.” The song is the first single from Jaden’s first studio album, SYRE. Late Tuesday night, Will posted a short spoof of the video to celebrate his son’s music hitting 100 million streams on Spotify. In the video, Will mimics his son’s outfit, down to the linked gold chain, dyed hair and grills, lip-synching to the song. And dammit if they don’t look like twins in some parts. Of course, Will Smith being Will Smith, he had to play the damn fool while he did it, showing his grill falling out of his mouth as he tries to push it back in, and wearing slippers and socks instead of sneakers. See the official “Icon” video below. Don’t you think Will nailed it?